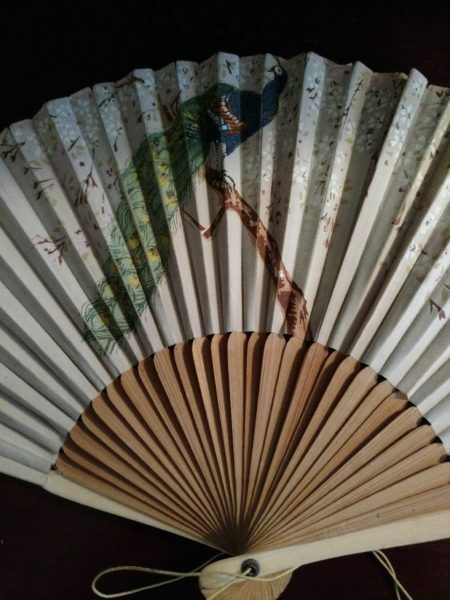 A vintage, Asian influence hand held folding fan from the Edwardian to 1920’s era. A lovely hand painted, or partially hand painted, paper fan with bone and sandalwood stick. Design of the textured paper is embellished with a beautiful peacock on branch and cherry blossom flowers. Brass rivet to hold the fan together at the end. A string is tied through the rivets.